Stephanie Evans and Michelle Wilson are my guest on this episode. After Michelle left the her executive director position at the TriVillage Chamber Partnership and hosting duties of their podcast, Business Inspires, Stephanie has stepped in as the new executive director and host of the podcast. We talk about that transition, and what the effects will be. Brett Johnson: Well, before we get into the heavy of the podcast, talking about Business Inspires' podcast, I want to ask each of you, Michelle, and Stephanie, about nonprofits that you support, that you give time, talent, or treasure to. I'll start with Michele. Michelle Wilson: Sure. I think that the one nearest and dearest to my heart, right now, is the new Nationwide Children's Hospital On Our Sleeves. It's a mental health awareness program. I just think that it's something that's so important, and needed. The conversation, while it seems like it's out there a lot, I think it's really just beginning. I think it's an amazing program, I definitely … I'm trying to become more involved with it. I've supported it financially, and I'm just figuring out ways that I can support it otherwise. Stephanie Evans: I would say the one that I probably spend the most of my time with is Best Buddies, Best Buddies Ohio. It's part of a national organization to assist folks with developmental disabilities, to engage them in one-on-one friendships, and then to help find them work in the workplace. My husband's on the board there for Best Buddies Ohio, and I help out when I can. Really, my whole family's involved, because there are high school, and college-age groups, as well, to help the students make lifelong friendships. It's a really great organization. That's where we spend our time. Brett Johnson: Great, thanks. Let's talk a little bit about each of your professional backgrounds, and, as the podcast develops, we'll figure out, and the listener will figure out, "Oh, this is where the two come together, and why this is a podcast about the Tri-Village Chamber Partnership's Business Inspires podcast. Let's start with Michelle, because your history with the Tri-Village Chamber Partnership is longer. Let's talk a little bit about your background, and how you became a part of the TVCP. Michelle Wilson: I have always been in the nonprofit or not-for-profit world. I started out at Experience Columbus, when it was the Greater Columbus Convention and Visitors Bureau, way back when. Moved around a little bit from there in membership departments at the Columbus Zoo and Aquarium, and the Ohio Hotel and Lodging Association. Always found that that was where I landed. Michelle Wilson: Was able to land a amazing position with the Grandview Area Chamber, back in '09, when they were looking for their first full-time director. I landed there; got that job. Grandview was where I grew up, and had my kids, so it was a nice fit. I knew the community; I knew a lot of people there. Michelle Wilson: We were able to then grow and expand that into a merger between the Upper Arlington Chamber, and the Grandview, and Marble Cliff Chambers. We, in 2016, became the Tri-Village Chamber Partnership. That's my background, and, of course, I have recently left that position after almost 10 years, and landed back at Experience Columbus, so a little bit of a full circle there. Brett Johnson: One just wasn't enough. I've gotta do three. Stephanie Evans: A couple of 'em overlapped. Yeah, a couple of 'em overlapped. Anyway, so I spent that time having my own business, and raising my kids at home. Then, a couple of years ago, just had some changes take place in my personal life, and decided to let my photography business go. That's what my more recent one was. Stephanie Evans: Really, through a friend of mine, who happened to be related to Michelle, let me know that there was an opening there, and connected with Michelle. That's how I landed at the Chamber. Came in as the membership manager, part-time, and have been there almost two years. It'll be two years in March. Then, when Michelle made her next step, I switched seats, and I went from membership manager to executive director. Brett Johnson: From the baby pool to the deep end. Michelle Wilson: Quite literally. Yeah. Brett Johnson: I have you both on because … We were talking about this before recording. I've jumped on this theme, by accident, of the host transitions. The Business Inspires podcast is now going through a host transition. Michelle had hosted the podcast from its inception, up through her leaving recently, and Stephanie's now taking the roam and doing the interviews, and setting up scheduling for guests, and such, for Business Inspires. Brett Johnson: I wanted to bring both of you together to talk about that. I know Michelle'll have a little bit more knowledge on the beginnings, as I will, too, but I think it's worth the discussion, because this is a Chamber-focused podcast, Business Inspires. Why a podcast for Tri-Village Chamber Partnership, Michelle? Michelle Wilson: For me, it was having discussions with you, and I hadn't even really considered it, but when you approached me, it seemed like an edgy new different thing to do. I think that's one of the things I like to pride myself, or the Chamber on. At the time, we were going through a merger. That was something that was pretty rare. We had taken a couple of leaps of faith along the way, with the Grandview Area Chamber, and done some really cool projects that others had not yet tried. Michelle Wilson: I thought this was a really great new edgy way to perhaps reach a new demographic. Chambers, and membership organizations, in general, we're going through a bit of an identity crisis, and I thought this might be a really cool way to reach the younger demographic that didn't necessarily understand why they should be a member of a Chamber of Commerce. Brett Johnson: I know when we first started, too, I was looking at it as a potential engagement tool. I know Chambers have a difficulty. Yeah, they have … The email database is great, but the open rate, no, and the feedback from members, and getting them involved, and such … I was envisioning the podcast, possibly, as an engagement tool, as well, too. Michelle Wilson: Right, and they didn't understand it. Michelle Wilson: Any more than I did. Brett Johnson: Correct. Correct, yes. Trying to go in the back my mind, how the process began, I think we just had coffee to talk about this idea. Luckily, you were very welcoming to the idea, too, because I think I laid it out as you have a lot of content, great content. You refined it even more, talking about, "Okay, let's talk to businesses about how they started, and how they're growing." Brett Johnson: I kinda wanna go a little bit more on that, why that popped in your mind. Michelle Wilson: I think we're really lucky in the Tri-Village area that we just had this … We have a really great group of members. One of the things that we never really have to preach is to support one another, and make sure you're using member businesses, and make sure you're looking there first. People just naturally do it. Michelle Wilson: You may use a vendor, here and there, that you've gotten great service from, but you don't really know why they do what they do, or why they got started. I thought it would be a neat premise to figure out if this was something they really- was their lifelong aspiration, or if they just landed there. I think finding their personal connection to what they do was just a different way to approach it. There are lots of business podcasts out there, and I thought maybe putting a spin on it might be more engaging. Brett Johnson: I think the guests have done a great job, as well, and they get it, when they're on the podcast. Brett Johnson: They bring it back into why the Chamber is so important to them. Brett Johnson: Not a guest that we've talked to that we've had to tell them, "Hey, be sure to incorporate why the Chamber's so important to you." Michelle Wilson: We've never asked that question. Brett Johnson: Never have asked it. It's come up organically in every interview. Stephanie, even the couple that we've done, have come up … With your transition, we've never told them to say anything about it. Stephanie Evans: Right. It did just come up naturally. Brett Johnson: It's amazing. Again, you can have the leading questions, as we had one … Not leading questions, but to incorporate that maybe one member has done a lot to help with some events, and such. That's gonna come up in conversation, obviously, too. I know we talked initially, too, Michelle, when I brought up the idea … I knew that I had to come up with a way that might be comfortable for you. I knew the question may come up about, "What kind of podcast? Are you talking about me just being the podcast?" Brett Johnson: That's why I introduced let's do the interview. Makes it a whole lot easier. You still had the nervousness, in regards to, "I'm not an interviewer. I haven't done "radio." How do I do this?" Brett Johnson: How did you prepare yourself to be, I think, a great interviewer? Michelle Wilson: Oh, thank you. Michelle Wilson: I did, yeah, right. Brett Johnson: You did. How did you jump into that, in regards to getting yourself prepared, and getting more comfortable to being an interviewer? Michelle Wilson: Again, going back to just who we are as … Who our personality is at the Chamber is we're very relationship-driven. While everybody says that, I believe it to be true. I believe that so much of the success of the Tri-Village Chamber has been because Stephanie and I have gotten to know people. We know them on a personal level, generally – not every single person – but I think that's been a big part of the success. Michelle Wilson: Preparing for the podcast was just figuring out how do I ask somewhat personal questions without getting too personal? Finding out what it is they wanted to be, when they were young, and having them take a step back, and look at why they are where they are. I did basically the same research, every single time. Michelle Wilson: We did identify … At least initially, we identified members that perhaps I knew a little more on a personal level, so that I could … They were kinda my guinea pigs. I could ask them questions that- and I would be more comfortable asking them questions, because I kinda knew what their answers would be. Although, I think, each time, they surprised me, and that was also fun. It was always a discovery, no matter how much I thought I knew going into the interview. I think that led, each time, to a really great end product. Brett Johnson: It did, I agree. I was thinking about the time process, when our first discussion, and when we kicked it off … I don't remember actually how many weeks/months it took. I think it went fairly quickly, honestly. Brett Johnson: I think a lot of the time that it took, and this is part of the interview process, is booking people; getting those businesses in. At that time, we were very lucky to have a great relationship with a local radio station group to utilize their studios. I know the owner was extremely happy to have business owners coming in to the radio station, just to see the Hollywood of it, to be a part of this podcast, but also just a monthly process of seeing new businesses coming in, because of this podcast. Brett Johnson: That was a nice relationship, at that point in time, to get things going, to legitimize the podcast, as well, working with the radio station group. The sound of the podcast versus just being in front of a computer laptop, and, "Okay, talk as close as you can to the screen …"
Michelle Wilson: Oh, it made a difference. It definitely … Absolutely, it made a difference being in a professional setting. Brett Johnson: I think it made a little bit easier for you, too, I'm assuming, because you were at a radio station. This is what happens here. Michelle Wilson: It did. Right. Brett Johnson: Interviews, and content, that sorta thing, yeah. Michelle Wilson: I was lucky enough to be a part of a couple of other podcasts, and they were fine. I would never say anything negative about them, other than the sound quality … The difference in sound quality, I felt really lucky that we had what we had with that radio station. Michelle Wilson: Oh, I think it was, yeah. Brett Johnson: -it probably was. We didn't really have a lot of people involved. Michelle Wilson: Right. That's true. Michelle Wilson: If you asked my past board members, they would say that ,"Michelle asks forgiveness, not permission," and that's just how it worked. Brett Johnson: I don't know if that's the proper way for any Chamber to think about doing something like this, but what is the harm, as long as you have the game plan, and this is the direction you're going with it? Brett Johnson: You focused a couple of the board members as guests, as well, so that made a big difference. Michelle Wilson: I did. Right. Some of that was strategic, but they also are really good interviews … Perhaps it was for a double reason, but there was good content there. Brett Johnson: Yeah. How has the podcast been able to showcase the Chamber's expertise? How did you incorporate that, as well as with Stephanie coming in, as well, too, what the Chamber is? I know there's, like you said, an atmosphere; a culture that the Tri-Village Chamber Partnership has, compared to any other chamber – good, bad, whatever. Every Chamber has its culture; its feel. How do you think you incorporated that, in regards to what you were doing with the podcast, as well as what Stephanie will be doing in the future, too? Michelle Wilson: Steph, do you wanna take that? I can take that. I think I can take that. There's a saying, and I probably said this on past podcasts, that you've seen one Chamber, you've seen one Chamber. We all operate very differently; every community is so different. Partnerships vary. Michelle Wilson: The Grandview area, Upper Arlington area, and now, of course, Tri-Village, I think have been very lucky to have good relationships with their city governments, with their key players in the area. I think that really played beautifully into the podcast just being an extension of what it was we were already doing. That was finding new ways to engage our members; finding new ways to keep them interested, and on board. Michelle Wilson: When we started receiving feedback, pretty quickly … It takes a while to build your listenership, of course, but when we started receiving feedback, pretty quickly, from members who were intrigued by the fact that we were doing a podcast, and they were learning about these small businesses on a different level, that was exciting. Michelle Wilson: Again, I think, going back to some other chances we took as a Chamber: the Chamber Challenge, when we did a business makeover in three days; that was that was a huge undertaking, and a great success story. The podcast was just the next thing we were trying. I joked about asking forgiveness, not permission, but kinda true. We just said, "Sure, that sounds like a good idea. Let's give it a shot." We didn't have a lot to lose. It's turned out to be a really great benefit, I think, to our members. People are asking to be a part of it now. I think it was just natural, that it was something we did that was different, and edgy. Brett Johnson: I think one great story that came out of … I think we maybe had three or four published at the time, but the first episode that we published, she got an inquiry about her business for new business-. Michelle Wilson: Yeah, and got the business-. Brett Johnson: And got the business. When you told me that, I'm going, "Wow, okay, this stuff kinda works, doesn't it?" Michelle Wilson: -but the very first episode did produce business, yeah. Brett Johnson: -and she got to showcase exactly what she wanted to for her business, and it obviously worked. Michelle Wilson: Yeah, she came off beautifully. She really did. Brett Johnson: Yeah, she did. Have you seen adding the podcast content to the website improve the site's search component? Michelle Wilson: That's a great question that I would have to … I don't know that we have done a ton of analytics on it. It's certainly something we can do. You've provided us with numbers that have increased over time. I'm certain that it probably has, I just wish I could give you exact numbers, but I can't-. Brett Johnson: No, and that's fine, because I can answer a little bit to that, because I know the user agent piece to the back end that I do see. This is not atypical of a business-oriented podcast; it is a lot more desktop listenership than through phone. Therefore, they are listening via your website, or a link through the email. Michelle Wilson: It did, yes. Stephanie Evans: We changed it to add it, so you see it right when you log onto the website. Brett Johnson: Which will make a difference over time, of course, too [cross talk]. Michelle Wilson: -much easier to find. Brett Johnson: Right. I know a lot of businesses, they wanna add content to their website, but it's like, "Okay, where do we put it without junking up the site?" Or maybe the original design of the site was not really set up to incorporate any video, any audio. Brett Johnson: It's kinda difficult to measure, because it's not in the right place. A tab, obviously, will help tremendously, and such, too. Another unexpected thing that happened, but we were focusing on this, we had a sponsorship for the podcast. Brett Johnson: We'd always talked about this, but we just … Had come up with a list of potential sponsors, but knowing that any sponsorship could limit who might even wanna be on the podcast, or it might sound as though, "Okay, they're sponsoring, but what are you giving 'em?" You're a Chamber sort of thing. Brett Johnson: I think our focus of who did sponsor the podcast made a lot of sense. I'll let you talk a little bit about the story-. Brett Johnson: -because you carried the water on this one. Stephanie Evans: Yeah, well, I approached … Of course, the Tri-Village Chamber Partnership is made up of Grandview Heights, Marble Cliff, and Upper Arlington. We approached the three of them, and said, "These are the businesses that are representative of each of your areas, so, let's get you on board.". Michelle Wilson: What I really love is that the smallest of those three municipalities stepped up. The Village of Marble Cliff got it really quickly. They went through a few readings, and they listened to some podcasts, and they stepped up with some dollars. One of the things we said was we'll be sure to make sure that we are including businesses in the Village of Marble Cliff. There aren't a ton. It's a very small village. Not a huge ask on their part, but some great businesses there. Michelle Wilson: The businesses that we already had focused on in Marble Cliff helped sell it. Then, we made a commitment to feature some more, and we did that, and we're still doing that. I was really happy that they stepped up, not just from a dollar perspective, but because it was a great way for a small village to get some awesome exposure. Their logo went on there, and then they got to think of a fun slogan, and tagline. I think it helped them, and is helping them in a different way, as well. Brett Johnson: It's little bit of moral support, too. Brett Johnson: I felt really good after you … I know you called me. It wasn't an email. "Hey, we got a sponsor!" and you said who it was. It was a struggle. It was … It will be, working with municipalities, and cities, of course. The process is a bit slower; a lot more people have to sign off on these ideas of money being spent. I totally understand that versus going to a business as a sponsorship. Brett Johnson: -knowing that it doesn't matter what size of government there is, there had to be a lot of eyeballs seeing this, "Yeah we're gonna do this; we're gonna do this; we're gonna do this," because this money is being spent here, versus here. It was good feedback. Stephanie Evans: One of the things that their Mayor, Kent, had said about it was that they view it as a professional education opportunity for the businesses in the Marble Cliff area, and felt that, by supporting the podcast, it was encouraging their businesses to listen in, because they can't always make it to a luncheon, or a breakfast, or a coffee, or an event, where we might have a speaker, or some kind of educational program. Stephanie Evans: It really is educational, when you listen to how someone got their business started, or how they made the next steps to grow, and that kinda stuff. They felt like it was a good option to treat it as professional education, in a way, to give to the business community, and support us, as well. Brett Johnson: -probably one of the better podcasts, in regards to understanding the Village of Marble Cliff. Brett Johnson: -understanding this very … What is it? Two square mile, if that? I forget how many square mile it is, but government is government, and it's just a smaller version of it, but it's the same mechanisms, the same "politics" going on, but just on a smaller scale; a microcosm, comparatively, but still important to those that are living in that little community. Michelle Wilson: Right, and they're very lucky they have somebody who's forward-thinking, and is … Again, I think like the Chamber taking a chance on some doing something a little differently … We're very lucky that he sits on the board, and has a great voice to lend, on behalf of the village. Brett Johnson: We tried to come up with the most convenient publishing schedule, and we varied that. I know, initially, we went with … Because of scheduling issues, and problems, and fitting in your schedule, obviously, to sit down. and talk with folks, and give yourself some time for research, we are on a once-a-month publishing schedule. It worked really well, I think. Brett Johnson: Then we started to crank it up to every three weeks, and I think we saw some momentum come from that, as well, too, that it started to take off a little bit more, as well. We could get more people in over a year's time, as well, too. How did that change, in regards to how you set yourself up, and your scheduling, too, that one extra week, or one fewer week to prepare? Did that take some mental strain? How did that change your life? Michelle Wilson: Not tremendously, because I think it was something that I so enjoyed. It was just one of my favorite parts; truly getting to take a deep dive into one business was so enjoyable for me. Doing the research … I had basically the same list of questions every single time. That would always be my fall backs. Then, depending on who we were talking to, and how well I knew them, or if there had been something in the news recently that I wanted to make sure I touched on, I customized that each time. It was more exciting, quite honestly, to increase it, and get to talk to more people, and beef that up a little bit. Brett Johnson: I know Stephanie, you can answer this, as well, too, because of being on board as long as you were, installing the social media strategy, and the email strategy. Let's talk a little bit about that, how that's evolved, as well, too, from your standpoint, and moving forward. This podcast is included in every newsletter that goes out for the Chamber, which is a weekly … What other pieces are being implemented that are being done/were being don, as well as looking to the future? Stephanie Evans: It goes into our weekly newsletter with a link, so it's on our website. It always sits there, and the link sends you to the website. Then, Twitter, Facebook, Instagram … Trying to think of all the social media. Admittedly, we are in a transition there with the social media. Stephanie Evans: We had contracted out some work; the person that was doing that work for us recently moved to Seattle. In theory, he could do it from there, but it's more practical to have it here, closer to home. We're in transition, getting our head around how to do that social media, and how best to approach that. The podcast link is included in all of that, and we're trying to stay active on that, and keep up to date, and find a new rhythm with our social media. Brett Johnson: Yeah, it's kind of a double-whammy, with the transition of hosts, also losing the social media person, or [cross talk] choice to keep the social media in-house; let's put it that way. Michelle Wilson: Well, it's certainly more immediate. Stephanie Evans: Right, instead of sending a picture to somebody … It does make it more immediate. We just have to get up to speed with it. Stephanie Evans: Yeah, just a little … This big microphone looking at. Brett Johnson: -of looking at, "Okay, I still wanna continue …" Well, "I still wanna continue on with the podcast," but how to incorporate it into my day, as the newly appointed executive director for the Chamber. It's just a week, so not big, but I think that the implementation of a new person with social media, keeping it in-house, may be an easier transition, as well, too. Stephanie Evans: I think we're still very much in a transition phase. I just officially took this role as executive director in October, so I was still in my learning curve. Then, add to that the change in the social media contractor that we were using, and bringing someone in-house, and me changing roles altogether. There's a lot to learn. Brett Johnson: -osmosis works pretty well, too. Stephanie Evans: Yeah, and I knew a lot about the Chamber activities, but not so much the things that she did. Now, I have literally switched chairs. I took your chair. Michelle Wilson: That's a great, great chair. Stephanie Evans: Yeah, it's a great chair. There's a lot to learn, and it's a busy day. I make my to-do list at the end of the day, for my next day, and inevitably, I get to work … Sometimes, I check my email before I get in, and my whole day changes. Brett Johnson: Welcome to life. Yeah, right, exactly. Stephanie Evans: Yeah, exactly. It's never quite like I planned. Just kinda keeping up with things still has me in a transition. Brett Johnson: That's a great segue into talking about the transition of hosts. Obviously, you knew you were going to leave, and whether that was being discussed or not … One way or the other, in the mind, you knew, "Okay, I'm moving on, but there are things I have to take care of.". Brett Johnson: What was the discussion like with Stephanie, when you said, "Hey, I'm outta here. Totally up to you if you wanna keep the podcast going, but let's talk about the podcast …"? What was that conversation like? Michelle Wilson: Well, I told Steph that it was one of my favorite parts of the job. It had grown into that, and that I would … I just told her the truth. I think that I was very nervous, and that if we kept it going, which I thought we should, that we approach it the same way. Don't put a ton of pressure on yourself, because the conversation really does take over. Michelle Wilson: We scheduled a couple of podcasts, my last two, and and did those in the office, in a more comfortable setting, and Stephanie sat in on those, and got to see that I wasn't exaggerating. It really is very laid back, and conversational, and the flow should be fairly natural. You have these questions that you can fall back on, if conversation halts for some reason, but that never really happened, thankfully, but they were good conversation starters. Michelle Wilson: The Chamber is very lucky that Stephanie knocked on our door a couple of years ago, and said, "Hey, I'm interested in coming here." Her background, and personality just lent itself beautifully for the transition. I knew she'd be great, and, of course, she is. Stephanie Evans: -I'm like, "What? Who can I get to do that?" Michelle Wilson: How do you portray deer in the headlights over a microphone? Stephanie Evans: I think, from the start, I totally agreed that it needed to continue. I think it's a really great thing for the Chamber, for our members, and for the folks who are listening. There was no doubt that we wanted to keep it going. The struggle for me is overcoming the anxiety of having this big microphone in front of me, and feeling like I don't know how to do this. Brett Johnson: Did you end up going back, and listening to some older episodes to really listen to 'em differently, and how it was done? Brett Johnson: Right, right, right … But you can hear it with a different ear, when you have to host it. Stephanie Evans: Yes, and I did. I did go back and listen to probably three or four … Not the entire podcasts, but parts of the three or four of 'em. You're right. I didn't even remember that I did that, but I did, right before we recorded my first one; to go back and just listen to the flow, and how the conversation went. Stephanie Evans: That helped, and I had Michelle's list of questions that I just had in front of me. I did use them probably more than Michelle does, or did at the time. It does help provide the backup, like when you are afraid of stalling out; you know you won't, if you have that. Stephanie Evans: Yeah, even today. Michelle Wilson: Right, but it's also a sense of relief, when … If you can get out of your head long enough to think, "Okay, we can fix this," because it's not live, and it can come off sounding pretty smooth, if we stumble a little bit along the way. Stephanie Evans: I think that the biggest thing for me was just the commitment to knowing that it has to go forward; not going to stop doing this. I've gotta figure it out. Stephanie Evans: Yeah, a lot of 'em had been there before, and they're nervous, too, the people that we've interviewed. They were nervous, definitely, so having that comfort level of knowing where they're going, knowing how to get there, and that kinda thing, I do think helps. Brett Johnson: Moving forward, any new thoughts? Any new ideas that you wanna implement over the next few months? Have you put thought to that, or the different type of people we wanna talk to? Stephanie Evans: With regard to the podcast? Brett Johnson: You've been there. Stephanie Evans: Yeah, I have. I've owned two businesses by myself, and then my husband, and I currently own a business together. I'm a small business owner, too, and so I do appreciate hearing other people's stories. I think that I learned from it. I think our listeners can learn from it. Everybody's tackled it a little differently. Stephanie Evans: One of the things that I think has been great about the ones that we've had so far is the variety of businesses that we've invited in for it. I think, for the listeners, if you look at the list, it's this huge variety. I think that shows the breadth of our membership. For folks who aren't members, or just out there listening, they can see the kind of businesses that we have, and that it really covers a whole range of businesses. Stephanie Evans: I think that the up close, and personal, "How did you get here?" way is great. We've also tossed around, do we start doing more like … I don't know, a specific topic in business, and how do we address that, and kinda come at that from different angles. For right now, I feel like if it's not broke, don't fix it. If this is our niche, and this is what we're known for, then that's the track we should stay on. If we start to feel like we wanna mix it up a little bit, I do think that there are some other avenues we could venture down. Brett Johnson: Yeah, we talked about other opportunities, as well, too, just expanding the role of the podcast. It gives you the opportunity as a new host to do that, as well as Michelle was always kicking around that idea. We were always kicking around those ideas, so it's always on the table. Michelle Wilson: Sure, yeah. I think it's really key to mention, too, from the member perspective, besides learning about other members, is that it's a great marketing tool for them. They walk away with this podcast. We walk away learning something; a little bit more about, perhaps, that member, or that industry, but the member walks away with a marketing piece that they can put on their website; that they can pull snippets of. You're great about helping them with pulling out key pieces that would be great for marketing. There's no charge to them for being a guest on our podcast. It's really a benefit to everybody involved. Michelle Wilson: Oh, my gosh, yes. Me, too. Michelle Wilson: A nugget, right. There have been times that I've walked away thinking, or not thinking, but just having learned something that I just didn't expect. There was a couple of times when I was kind of gobsmacked, for lack of a better word. Michelle Wilson: In one of those, a piece of advice came out of it. One of my favorite things was to ask, "What advice were you given, or what advice would you now give?" One of the podcasts, there was a piece of advice given to one of our interviewees that I loved, and I have now used in a practical way with my kids, and in my life. I definitely learned a life lesson out of doing an interview that … Gosh, that's not what I expected to get out of it, but it was great. Michelle Wilson: We've got it covered. Brett Johnson: We've got it covered, here, but I'll ask both of you, what advice would you give a business owner, or another Chamber that may be considering podcasting as a marketing tool? What would you tell them to keep in mind? Michelle Wilson: Steph, jump in anytime. I think I would tell them to try to come up with what's unique about them, and capitalize on it, with their podcast, with whatever the theme is, or what it is that they want to accomplish. Find out what's- identify what's unique, and use it. Michelle Wilson: Also, try to get the supporters on board first, and not necessarily ask permission, but now that there's somebody that's doing this, and it's working, don't recreate the wheel, and definitely get people on board first. Realize that there are resources out there to help you get started, and that it's really a phenomenal tool to engage your members. Stephanie Evans: -say, "Here's what we wanna do," and model it after this or that, and be able to get some sponsorship upfront. I would say definitely think about that. One of the things that I think our podcast does is, alongside of the information that's shared from the interviewees, is it showcases the personality of the Chamber, just in the conversations that take place. Stephanie Evans: I always tell people who are thinking about joining our Chamber that the personality of our Chamber, I really do feel like, represents the communities that we represent. It's a really warm, sincere group of people who wanna see each other support- sorry, wanna support each other, and see each other be successful. I feel like that comes through in the interviews, just the personalities. I think that's a real nice benefit for our members, and for the Chamber, as a whole. Brett Johnson: Yeah, I would think, and I agree … I always think this medium is not a fake-it medium. It's raw. It's raw. The emotions are there. You just can't fake it, versus writing a blog, or having a professional blogger write it for you that represents your company. This is it. I think the podcast brings that out of the Chamber, as well as the guests I've seen, overall. Brett Johnson: Congratulations on your move, Michelle. Michelle Wilson: Thank you very much. Stephanie Evans: I second that-. Brett Johnson: -because I knew I was going to miss working with you. I knew the podcast would live on, because it had legs, and I knew Stephanie was more than capable of getting this done, but working with you, I knew I was gonna miss [cross talk] because it was a lot of fun. Brett Johnson: -and congratulations on your new chair, and new role. Stephanie Evans: Thanks, Brett … Literally a new chair. Stephanie Evans: Literally a new chair. It moves. Brett Johnson: I do look forward to working, as we continue on with Business Inspires. Michelle Wilson: Thank you [cross talk]. Stephanie Evans: Thank you, Brett. I look forward to working with you, too. Michelle Wilson: Thank you for all your support. This is because of you, and your great idea, and that our members are benefiting. Thank you for doing that. Brett Johnson: Thank you. Thank you. The above audio transcript of “Business Inspires” was transcribed by the best audio transcription service called Sonix. If you have to convert audio to text in 2019, then you should try Sonix. Transcribing audio files is painful. Sonix makes it fast, easy, and affordable. I love using Sonix to transcribe my audio files. In this episode, I talk with Dr. Todd Kays, host of Athletic Mind Institute Podcast, a podcast he produces for his sports and performance psychology practice, The Athletic Mind Institute. Brett Johnson: Before we get into the business side of the podcast, I wanted to give you some time, and talk about a nonprofit that you support with your time, talent, or treasure. Let's talk a little bit about nonprofits. Dr. Todd Kays: Well, because I'm a cancer survivor, I certainly support a lot of things related to cancer, all the way from riding in Pelatonia, to donating to various funds at, for example, the Ohio State University – their cancer research center – and all the wonderful things they there; as well as there's organizations here in town who help people who are coming from out of town to be treated for cancer, and sometimes, they have to stay here for a number of days. They don't have the money for gas, food, for a place to stay. Dr. Todd Kays: Most of my nonprofit, I guess, dedication has been around the area of cancer, and primarily, the incentive was … I had the personal incentive of being a cancer survivor, so I want to certainly give back, and help people, certainly, in this situation. Brett Johnson: That tends to be where the help goes. I think we have various nonprofits that we help with, depending. but a lot of it does hinge on health-related situations, whether it affected you directly, or a family member, or a close friend, and such, that it seems to be that's where it goes, which is great, because that has the emotional tie. Brett Johnson: You continue on, and you advocate, as well, as you're doing right now, so, yeah, great. Let's talk a little bit about your professional background, and history – how you started your business. Dr. Todd Kays: I started my business … In sports psychology, it was very new, newer, when I was coming in out of graduate school. The first sports psychologist that we had, even with United States Olympics, was in 1988 Seoul, Korea. Dr. Todd Kays: I was in graduate school, 1990, so there wasn't a whole lot being done at that time. I had found that, about two years before … When you do a doctorate, you have to do a year of internship. I found that Ohio State was doing something a little bit in the area of sports psychology, so I contacted them. Fortunately, they gave me … I earned the internship. Dr. Todd Kays: During that time, I also helped to build a fellowship program, because there was no other fellowship programs in the country for postdoctoral people to get any training in sports psychology, so, we started there. At that point, there were really no jobs in the mid-'90s. You couldn't look up, and find a job for sports psychologist needed. They're still very limited, believe it or not, across the country, in, for example, large university settings. Dr. Todd Kays: About 1998, it was time for me to … The person at Ohio State, obviously far, and few between jobs, he was going to stay there, so I had to say, "Well, there's no jobs out there," and I had to either do something else, or start my own practice. I started my own practice, and I guess this is 20 years now I've been in private practice. Brett Johnson: Did you have a mentor moving into that arena, knowing it was just wide open? Dr. Todd Kays: I did not, in fact. I read a lot. I talked to certain people, but a specific mentor, no, because there really wasn't many people doing this at that time that … On one hand, it was exciting, because you blaze your own trail. On the other side of things, I wish I could have learned from somebody; maybe made fewer mistakes that I made. Dr. Todd Kays: I have more … I call them colleagues, but they're truly mentors, because we go back and forth, and we can share ideas, and talk about our businesses, talk about growing practices, all the way from a marketing perspective, to how are you working with a professional team, or how do you get into a certain college, to help them understand the importance and the need for these types of services? Brett Johnson: -on what, and why it's important? You do? Wow. Dr. Todd Kays: Still do. It's much better, and I think people are understanding it more, and more today. I will probably speak 30 to 40 times a year at different events, and one of my first question is: how many have been exposed, or worked with, or understand sports psychology? I would be lucky to still get 5 to 10 percent of them that would raise their hand. Brett Johnson: To ask them, many will say, "Well, it's helping the mind with athletes." That's a very simplistic view, but what exactly do you do? Very few people, even today, have a difficult time understanding, until … Once I break it down for them, they're all in. They're like, "Shy didn't I do this 20 years ago? Why didn't I do this five years ago? Why didn't I get my son or daughter started in this, when they entered high school, or even middle school?" Dr. Todd Kays: We're all about developing positive habits. Well, I'm helping develop positive mental habits, and there's a process to that, and there's a way to do that, that most people, when they read about sports psychology, it's very pie in the sky, and airy; it's like, "Well, yeah, that makes sense. I need to focus more.". Dr. Todd Kays: To me, what's been exciting over particularly the past decade is for me to show the process for people to actually strengthen their ability to focus. When I make it real for them, when I demonstrate to them, when I have them do it, when they continue to do it, and they start getting results, then they're like, "Oh …" The light bulb goes off-. Brett Johnson: The a-ha moment. I like how on your website, you've also … In your practice, you've expanded into even musicians. Dr. Todd Kays: Oh, absolutely. Brett Johnson: I love that aspect of it, going, "Well, sure …" It's a competition in a different form, or it's still a mental game. Dr. Todd Kays: Absolutely. When I first started in the sports, I … My personality, I like variety, and that's a part of the reason I wanted to start my own business is because I wanted to do a number of different things. I wanted to write; I wanted to consult to various organizations; I wanted to do clinical counseling; I also wanted to do performance consulting. Dr. Todd Kays: It was actually in the late '90s, when I started my practice, where I realized that everything we do in life is a performance. It really started rolling when I had … A fairly high executive at a large company here in town came to me, and said, "The performance that you're teaching my son in golf," he goes, "My staff need this," and he goes, "Does that make sense to you?" I said, "Perfectly." Dr. Todd Kays: That kinda changed real early. I've been able to work with a broad scheme of people, which is … To me, part of my personality is I love the variety. The musicians came about is more so when we had the financial crisis in 2008; that they were gonna close the symphony. Dr. Todd Kays: Most of these people, once you get a symphony job, you stay there, and most of these people had been there 15, 20, sometimes 30 years. They had not auditioned in that long. Now, all the sudden, they're out of a job, and they have to go, and they have to audition, which they haven't done for years. Dr. Todd Kays: The anxiety, the worry, certainly the stress of losing a job, certainly the financial stress – "How am I gonna support my family?" – all of those sorts of things … I've got a flood of people from the Columbus Symphony saying, "I am so nervous. I've played the French horn; I've played the flute for 30 years, and I can barely play now, because I'm so nervous about the upcoming auditions." It was, and it still is – I still consult to a lot of musicians – it's a fascinating group to work with. Brett Johnson: Wow, that's interesting that it turned into the loss of a job, and having to re-audition, rather than the performance skills, and just keeping up their level of play. It's just survival mode. Dr. Todd Kays: Correct. Desperation sometimes leads us to do things. Brett Johnson: So, why a podcast? Dr. Todd Kays: Well, it certainly wasn't something I started out doing, and, in fact, I work with a lot of younger people, partly out of choice, because they keep my mind young; they keep me sharp. There's a number of different people I work with, who work with teams; let's say a golf professional, a golf fitness specialist, and then myself, and, for example, they'll be young. Dr. Todd Kays: They're always … Instagram, Twitter … Everything is just constant 24/7 for them, and I kinda learned from that. I was like, "Well …" I thought it was really cool what they were doing, but I didn't know much about it, but I saw enough. I was smart enough to realize this is the future. Dr. Todd Kays: I literally just thought, "Well, the young people, that's what they want to work with." The majority of people, at least from the athletic realm that I work with, are 30 and under, and as young as 10, 11, 12. They have their phones always with them. They are used to podcasts. They are used to social media. Part of the incentive was this is really a part of the business. This has to grow. Dr. Todd Kays: The other part, for me, was they can actually have my advice, my guidance, my sometimes voice with them 24/7, and it's very helpful to them. It's, in some ways, more affordable. Where my heart was, was I can change more people's lives. Brett Johnson: Who was all involved at the very beginning? Was it just yourself thinking about this, or did you bring some team members in, going, "Hey, I'm going to do this," and just lay it on the table, and get some input from people around you? Dr. Todd Kays: Then, I was like, "That's not me." It didn't even sound like me. It sounded too forced, and I was trying to almost teach like I would in the beginning, when I first started teaching at the college level. I would have very prepared presentations. Dr. Todd Kays: Then, I learned over time, what did the students really like? They loved how I was just interactive. I was with them; I was just talking with them; I was asking them questions. It was telling them stories; giving them images. Dr. Todd Kays: That's when I just started saying, "Okay, I am just gonna start talking. I don't know what's gonna come out, I'm just gonna stay with this topic." Over the years, it's gotten better. I still am refining, because I'm really taking my podcast to a whole different level now. Dr. Todd Kays: Now, I'm in the process of getting other people involved, where they're listening. They're giving me feedback. I'm trying to structure it. I'm trying to understand the time. What is the maximum, or minimum time that somebody will listen to a podcast, particularly my audience? I'm finding that they love two to three minutes. Then, I'm finding adults who are fine with 20 minutes, and they will sit down, and they really enjoy the intellectual part, and love learning. I'm learning about that as we speak. Brett Johnson: From first thoughts to the first episode, how long of a process was that discussion in your mind to do the podcast? Dr. Todd Kays: It wasn't long. I think I just saw young people doing it. It took me a long time to write. I enjoy writing, but it always took me a long time. The perfectionist in me would come out. I said, "I'm looking at all these young people, and I'm hearing other podcasts …" I'm just like, "Why not?" I literally just sat down on my computer, and just did it, and I sent it out to my email database. I was like, "Wow, people are actually listening to this," and it was easy, and it was fun. Dr. Todd Kays: Then, I just keep learning, refining, changing. Obviously, my approach, my knowledge, my experience, my expertise is a lot different than it was 20 years ago, so I can add different takes on something that I might have taught very differently 10 years ago. Dr. Todd Kays: Absolutely, absolutely. Dr. Todd Kays: Were you thinking of return on investment, or a return on influence, when you first started? How were you going to measure that this was working for you? Because it does take a little time … As you said, at the very beginning, you were scripting; so obviously, a lot more time than you're doing now, but it does have that dedication of open-mic record – is it worth my time? Were you putting some factors in your mind on what you thought, about how long you were going to give this? Brett Johnson: There is no wrong answer to that. It doesn't matter … Some people say the exact same things, like, "No, I just knew it was the right thing to do.". Dr. Todd Kays: That's what it was for me; I knew it was something I wanted to try. One of the things that I love about, and I truly try to capture every week, and I'm getting better, is the creativity part. Running a business has been a challenge – for any small business person – but when you're trying to do, and you're wearing multiple hats, it's hard to do what you're really, really good at, maybe passionate about, but at the same time, you have to run a business. Dr. Todd Kays: The podcast, for me, began as more … It was tapping into my creativity. It was tapping into my heart, which I was like, "This is fun," and I looked forward to doing it, as opposed to sitting down, and writing something, and then analyzing it, and then researching it. I was like, "This is fun," and I'm getting good feedback from at least the student athletes, or the athletes at the time, who are giving me feedback. They were saying, "This is really good. I love this.". Dr. Todd Kays: I knew I had something, but until, honestly, recently is the first time that I've even thought about, "Okay …" and that was on the advice of another business person, who said, "You've got some great content, and I know that you lead with your heart," he told me, "but I'm a business person," and he said, "just some advice …" He goes, "You can use some free things, but," he goes, "this is really good stuff, and I would encourage you to look at it as," as he said, "maybe a yearly membership, because you could touch people all over the world for a very small price, and you deserve to get paid for your years of experience, and what you're giving out." So, it wasn't my idea, and I'm still honestly getting used to the idea of running it like that, but I'm using him as a mentor to help me. Brett Johnson: Right. I think a lot of podcasters look at it that way, as well, too, that you're giving it away for free. That was the total intent, initially. He's like, "Yes, I'm branding myself; I'm getting out this information, but is my information- is my content worth anything to anyone?" Then you start working at that price point, going, "Okay, what is this?" You can only play with it, and figure out where the ouch point is, and get a feel from the email database: Would you pay for this? Would you … How much would you …? The range, and such. Brett Johnson: -to have deeper content, access to you in a different way, as well, too, that you may be not in Dublin, Ohio, but Dublin, Ireland, and I can talk to Dr. Kays, because I'm part of [cross talk] membership, and such, too, sure. Brett Johnson: The podcast, itself, it's showcasing your sport and performance psychology expertise. How are you allowing it to do that? When you first scripted, you were writing these ideas down, but now, as that business owner said to you, you lead with your heart … When you open your mic, where's it coming from? How are you doing this? Is it topics in mind that you think, "Okay, I do wanna cover this, this, this, and this?" How is it coming to you? Dr. Todd Kays: It really comes to me based on all of the work I'm doing. For example, if I'm working with … I have a number of professional athletes. They're very different, and have different challenges – to a college student athlete, to a high school student athlete, to a middle school student athlete, to the parents, to the coaches. Dr. Todd Kays: It's, for example, a lot of times, what I'm hearing, seeing in my current practice at any given time. Recently, in the past two months, just right here in central Ohio, there were a number of student athlete suicides. Immediately, I thought this has gotta be addressed, so immediately, that day, because I had literally, that day, when the third one occurred, I had calls from three different colleges for me to come out, and speak. Dr. Todd Kays: I said, "Okay, this is real life stuff. Winning a game, that's wonderful, but it's a game. This was real life stuff." I immediately started writing, and getting this out, saying we have to look at student athletes do have depression, do have anxiety, do have clinical issues, just like everybody else. We can't think that just because they're on TV, or they appear to be a 26-year-old, when they're really only 18 years old, and sometimes, they're only emotionally about 15, or 16. We can expect that. In that way, that's what … I led that. Dr. Todd Kays: I consistently hear distraction. Why do we have a distraction? Well, partly it's because of young high school students constantly being on social media, and the distraction that creates. I said, "Okay, I've gotta develop not only podcasts, but I wanna develop …" in the process of developing a video course. "You wanna learn how to quiet your mind? These are the things you need to do." It's really just based on the trends that I'm seeing, and that I'm hearing from student athletes, athletes every single day. I kinda let that guide what I'm doing, and what I'm going to choose to discuss. Brett Johnson: I know a lot of businesses want to add content to their website, but they're also pulling back. "Okay, we don't wanna slap everything up there," because it starts messing with the look of the website, and, "Where do we put it as a new tab?" this, that, and the other. Have you seen adding content to your website, the podcast content, increase some traffic to your website, as well? Dr. Todd Kays: It is increasing some traffic, and, I think what I'm getting more of, besides the traffic, is that I will hear kids, and their parents, for example, of young athletes, I will hear them … They will literally come up to me and say, "Love the podcast. That was so spot on." Whereas, when I was writing newsletters, and papers, I wouldn't get that as much. I do think it's the day and age that … I'm not saying it's a good thing, but we're a very rushed society, and people want things quickly; they want things on the run. Dr. Todd Kays: They have people recognizing my name; for example, I'll show up to speak somewhere, and a student athlete who I've never met before will say, "Hey, a friend of mine shared your podcast with me. They're really good." I'm like. "Cool. That's great." For me, that's awesome. If he's listening to something, that means, to me, he's opening his mind to developing positive mental habits well beyond sports. Dr. Todd Kays: Because I realize that I'm not in this- never was in this business to make professional athletes. I was in this business to help people be successful in life. I realized that there's only a tiny percentage that will ever make a career in professional sports, but if I can help them develop these habits that are going to make their families successful; they're gonna be a successful mom, or a successful dad, someday, or a successful business owner, or agent, or teacher, or whatever, that's what this is really about. Brett Johnson: Yeah, that's great. Let's get down into the nitty-gritty, in regards to your publishing schedule strategy. When you first started, were you thinking, "I'm gonna do this monthly, every other week, weekly, daily"? What did you initially start out as, and are you still continuing that? How has that evolved, in regards to your schedule strategy? Dr. Todd Kays: It evolved, most the time, in the beginning, as something struck my heart, and I just did it. I sat down, and I did it. A lot of times, I didn't know what to do with it; it just sat there, because I didn't exactly know, because I'm not one to … I was worried- maybe not worried, but concerned about if I would bombard all of the people that were in my database, who have had relationships with me, or have signed up for newsletters, and things like that. Dr. Todd Kays: I didn't wanna bombard 'em with 'em, and I really didn't know … Did they really want to listen to these? I was very slow at first. I kept a bank of them, and then would slowly put them out, maybe once a month, honestly; maybe twice a month. It was very haphazard. I would have to say, in the last couple of years of doing this, even though I have over probably 400 podcasts made, only a small few of them have been sent out. Dr. Todd Kays: Now, with the help of a business mentor, I'm kind of starting to understand, "Okay, this is how you should be doing this. This has to have more of a consistent structure to it." Whether, again, I make any money, I have no idea, but if it helps people … I do know that people may not purchase the podcast, but I do know that it touches people. I do get calls saying, "Hey, I heard your podcast. My son is really struggling; really wants to play at the college level; really gets anxious before competitions. Is this something you can help with?" Absolutely. Brett Johnson: You mentioned an email strategy, at the very beginning, you incorporated – at least the very first ones in your email – as a delivery system. Still incorporating those in your emails, as well? Dr. Todd Kays: Could be because I'm not using them correctly, or maximizing their benefit, but, it seems that people are in front of their emails, at least adults, who, in some ways, understand the importance … If we look at sports psychology, and athletics, they understand it more, because, simply, they're older. They have more wisdom. Dr. Todd Kays: A 12-, 15-, 16-year-old? Not necessarily gonna understand it. They like the podcast, because it's cool. It's something they can listen to. They will listen to it in the locker room. Whereas, a parent will get the email, and they'll say, "Wow, this is valuable stuff," and then possibly give me a call, or try to get in touch with me about speaking to their team, or speaking to their club, or whatever the case may be. Brett Johnson: Instagram, as well as podcasting, is fairly artwork heavy. What's your strategy? How do you create this artwork that you're using, especially for Instagram? Dr. Todd Kays: I've recently found an app, and it's called Canva. It makes Instagram a little bit more easy. I was just doing it this morning, because I have a big mental training program coming up, and the young people around me say, "You gotta get this on Instagram," so I say okay. One of my friends – and he's in a completely different discipline – he exposed me to this. Dr. Todd Kays: It took me probably, this morning, an hour. I sent it to him; I said, "What do you think?" He said, "Looks great. How long did it take you?" I said, "An hour." He said, "Why didn't you just tell me? I could have done it in five minutes." I said, "Okay, if you're serious, I'm going to do that.". Dr. Todd Kays: At the same time, I am truly- the creative part of me, I'm truly enjoying listening, and learning about all these things that are on. It's fun, actually, for me to learn about different companies that do different things with podcasts; how Instagram works, and how they interact with all the others. I'm actually enjoying learning about it. I'm just a little slow-. Brett Johnson: Yeah, and I'm in the same boat. It does tend to bring the creativity out of you , especially with as easy as those apps are anymore. Canva really does make it easy. There are probably five more out there that we don't even know about, or don't remember, at this point in time, but they do make it pretty easy to come up with some very eye-friendly graphics for podcasting; especially for Instagram, because that's very heavy visual arts, for Instagram, compared to a Facebook or a Twitter. You've gotta … It's still that thumb roll. You've gotta catch the eye of that user, and that artwork has to do it for you. Brett Johnson: That is Instagram, right there. That is Instagram. Instagram loves that. I took this picture, and I'm posting it sort of feel to it, where I think the other platforms are tending to be stock photo. Nothing wrong with that, it just comes down to that's the flavor of Instagram. That's the way it is. Why did you choose SoundCloud as a platform to post your audio on? Dr. Todd Kays: Well, this is to my lack of knowledge. I honestly … These files, all these 400 podcasts, I didn't know what to do with them, and they were big. I honestly didn't know how to share 'em, and get 'em back and forth. I was sending them through email to clients. I would say, "Here, I'm gonna … " I would find that, because I would have one in mind, or two in mind, after working with one of my athletes … I'd say, "I want you to listen to these couple of podcasts that I did; I think they hit on exactly what we were talking about today, and …" Just, again, it's another form of learning. Every time you listen to a podcast, it's mental training. You are training positive mental habits just by listening to it. Dr. Todd Kays: I tried doing that, but it was so tedious, and it was taking me so long. I'm like, "There's got to be a better way," and literally, a young person said, "Well, what about SoundCloud?" I looked, and there's … From the medium I use to do my podcast, there's a direct link, lo and behold, to SoundCloud. I was like, "Wow, that was easy.". Dr. Todd Kays: I think, right now, I have about … I decided at that time, I said, "Well …" I think I might have 100, 120 on SoundCloud now, and I just think, wow, it's easy. People are accessing them, and I get feedback from, "Hey, you have a new follower," or, "So-and-so liked this," I have no idea who they are. I'm still trying to understand that whole process, but I'm like, "This is kinda neat.". Dr. Todd Kays: You can't, as I've learned from a business side, and that's what I'm grappling with, as a business owner, is that they cannot … On SoundCloud, you can't sell. That's what I'm trying to explore, these other means. If I, in fact, do go that route, I may just stay with … I just enjoy doing these. If it continues to get the word out, and people grow from it, and, certainly from a marketing standpoint, they get to know what we do at my practice, and we have growth that way, that's wonderful. Dr. Todd Kays: At least in my mind, I don't look at podcasts, and maybe I could be completely wrong, as going to help me retire. I just look at it as all right, this is more of a easy marketing … At least that's the way I've looked at it. Now, I could be wrong, and I could learn from other people that this is a viable income stream. Dr. Todd Kays: Whether I wanna make it that or not, that'll be my decision down the line. At least I'm exploring the options, because the one thing they do not teach you in psychology, or graduate school, is how to run a business, so I'm learning. I've had to rely on business owners to teach me, and learn from them, because I just … It's not something that comes natural to me. Brett Johnson: I think podcasting … It's not in its infancy, but it is in its infancy, in the monetization piece to it. What's so fun about it is you can monetize this in any way you want, and at any time that you want. You're right on task that you walked into it with the right mindset. You're doing it for the love of it, for the end-user, and for your business, obviously, as well, too. Brett Johnson: Are there opportunities down the road? Sure, when it's the right time; when you feel comfortable in doing what you wanna do with it. It sounds as though you've set that up quite well. Your equipment setup, how are you doing this in your office? Dr. Todd Kays: I literally use my Apple Computer, and I do have a mic that … I don't just do it over the computer. I have learned that the sound quality is better, and I just simply do it that way. I do some editing, because I'm tinkering around with putting intro music, putting a specific closing. Those are in the beginning stages, and those, from my standpoint … I'm just learning those, and those are, for me, time-intensive. I could send them to somebody else, and it would take them 15 minutes, what would take me three hours. Dr. Todd Kays: I'm tinkering around, but most of the time, I just put my microphone with … To incorporate sound the best. I'm sure it's not anything like professional equipment, but it's, at least, inexpensive right now. If it continues to grow, I certainly would not be opposed at all to doing it more on a professional level, with graphics and things of that nature, which is, I think, ultimately … It is ultimately what I wanna do, because I cannot be … I can be in front of one person, or one team at a time, so, my time is limited, and that's the greatest asset I have right now. Dr. Todd Kays: In addition to hiring a couple other qualified people, it is a way to get in front of people. I want to give them the best, at least as best as I can. If somebody is paying for a service, or a product, I want it to be high quality. My assumption is I'm going to step that up into a more professional arena, such as this, such as somebody doing the graphics, and things like that. I can do what I'm really, really good at, and what I love. They can do what they're good. Dr. Todd Kays: That's the whole basis of a team in sports is coaches, you coach your position; players, you play your position. Don't worry about the guy next to you; don't worry about the guy across from you. You have no control. You just do the best you can at your craft. That's all you need to do, and I need to take my own advice on that. I'm getting there. Brett Johnson: I think you look at it in the best way, I know a lot of people, and you hear these stories of businesses, or individuals, whoever it might be, that look at the equipment options – let's put it that way – and it just freezes 'em up. "Where should I go? What should I buy?" The advice always given is just do it. Brett Johnson: You can always buy the USB mic in two or three weeks, if you don't like the sound of just recording yourself on the Mac computer. You can always change the room you're in, if you don't like the room ambiance, but you have to start, first, otherwise you'll never know what's comfortable for you. I think you've taken that right approach, step, by step, by step. You jumped in; you did it for the right reason to get going. Brett Johnson: You mentioned a little bit about future plans. Without laying out specifics, and giving away the farm, or anything like that, what are the future plans for the podcast? Where are you thinking about going with this? We mentioned a little bit about in regards to the membership level, but also, where are you going with the concept, itself, with the podcast? Dr. Todd Kays: I will continue to do podcasts, simply because I really enjoy doing them, first and foremost. I would like to see them grow, and I want to see my own … First off, I wanna see two things happen. One is I want to see my own abilities to do podcasts improve. The podcasts that I'm doing now, I'm sending them out to a number of trusted people, and I say, "Give me every piece of feedback that you can give me." Dr. Todd Kays: I have learned so much in just the past 30 days, because they've been giving me honest feedback about what's really good, and how I can sharpen my own skills to, for example, get to the point, or "You're talking about too many points in this five minutes. You need to just choose one of these points." That's the first thing that I'm doing. Dr. Todd Kays: The second thing is to get, and learn with other professionals who are good at this, and this is what they do, to help me along this process, because I do want to, if I'm going to put a product out … Particularly, I haven't probably worried about it as much, because it was just something fun, and I thought it was helping people, and I really didn't think much beyond it. Dr. Todd Kays: If it gets to a point where I choose to say this is something that could reach out worldwide, and I start getting that sort of feedback, I really want to have the best product, the best visuals, the best sound. I want it to be very professionally done, and that a person is going to know that this was not just done in his home office, while he was sitting watching TV. This was truly done with a lot of forethought. Then they feel that this – if it is a yearly membership – this was worth it, because this is a high-quality product. Dr. Todd Kays: I've always held high standards for myself, and I think I'm at that place where I was rushing … I honestly say I was rushing ahead with these podcasts, and it was my wife who said, "Slow down. You're throwing a lot of things out there. The reason that you're a little stressed is because that's not you. You're more methodical; you're high quality. Slow things down, and start doing things the way you know this should be done." It was kind of odd that you had called me to do this, because I'm just in that process of thinking about all these things right now. Brett Johnson: Interesting. Yeah, that's good. What advice would you give to any business that comes to you … "Love your podcast; love what you're doing. Heard your interview on Note to Future Me …" What advice would you give to a business that is considering this as a marketing tool – a podcast? Dr. Todd Kays: I would first say make sure that you truly wanna do it. Make sure that this is something that you're speaking from your heart, and you're not doing it to simply make money, and jump on this trend, or … I shouldn't say it's a trend. This new medium we're using to get information out. I would say that it has to be certainly something you truly believe in, and you have a desire to truly get your message across – whatever that message might be – if it's financial, if it's psychological, if it's legal, whatever the case might be. I would say that would be my first thing. Dr. Todd Kays: Then, the second thing is I would say just start doing it; practicing. The thing I would do that I didn't do it first: give it to some people; just have 'em listen to it first, before you just send out, because you may not know what you just did, if you don't listen to it, and you may have some background noise that you didn't even realize. Then it comes across as, "Well, I'm not gonna listen to that person again, because that sounded like he was in an airport while he was doing his podcast. I don't wanna listen to that." Dr. Todd Kays: I would say that is … Really want to do it, and feel passion in your heart about your message. Then, like you were saying earlier, just jump in, and try it, and do it. Then, just keep refining the skills around it, and use a support team. As I'm learning, a lot sooner than I have, is to rely on video experts, rely on audio experts, rely on social media experts. Let them help you along the way, because it will be a much better product, and ultimately, you'll get to do what you're good at, and you'll allow them to do what they're good at. Brett Johnson: [coughing] Edit point. Okay, hold that back so [inaudible] Just on the end of a cold. Okay, good. Thank you for being a guest on my podcast. I appreciate it. The insight you've given is dead on, and I think we read a lot about this in Facebook posts, and groups for podcasters, and such, but I think it comes off more genuine, when you hear somebody talk about it, and through their experiences. Brett Johnson: That is exactly what the focus of this podcast is. I love that you're at the grassroots piece of this podcast, and what you're doing with it, and learning over, now, over 400 episodes; maybe only half published, but, at the same time, you've got them in a bank, and you're ready to do … You're looking to the future, as well, with what you're doing with this. I think it's exciting, as well, that it continues to evolve with what you wanna do with it. Again, thank you for being a guest. I appreciate it. Dr. Todd Kays: Thank you for having me. Just by being here, and you forcing me to answer … Not forcing me to answer these questions, but putting these questions in front of me, really forced me to, again, really think about what my next steps are, and really solidify them in my own mind. I appreciate that. Dr. Todd Kays: I definitely will be listening to your podcast, because these are the exact things I need to learn, and I look forward to hearing other people's perspectives, and learning from them what they're doing, so maybe I can prevent my own mistakes, or just find a way to do things more efficiently, or find people who can help me do things more efficiently. The above audio transcript of “Athletic Mind Institute” was transcribed by the best audio transcription service called Sonix. If you have to convert audio to text in 2019, then you should try Sonix. Transcribing audio files is painful. Sonix makes it fast, easy, and affordable. I love using Sonix to transcribe my audio files. Brett Johnson is the owner and lead consultant at Circle270Media Podcast Consultants. 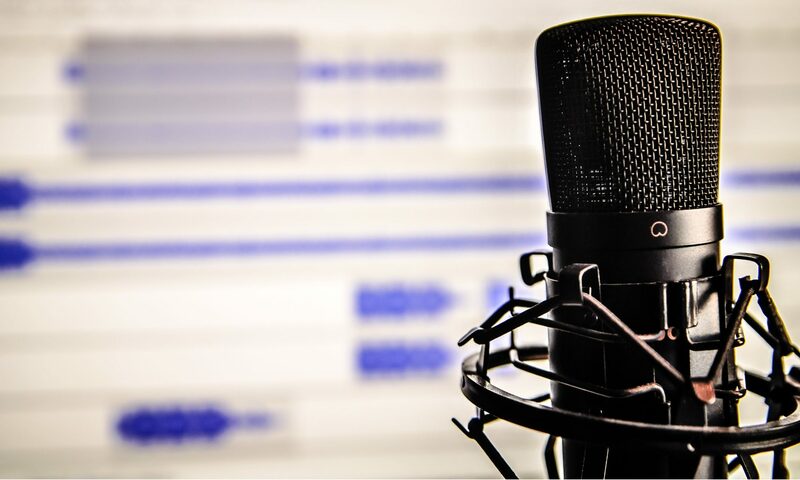 The podcast consultants at Circle270Media have over 35+ years of experience in Marketing, Content Creation, Audio Production/Recording, and Broadcasting. We strategically bring these worlds together with Podcasting. Brett Johnson: Let's start off and talk about … We're gonna balance this podcast with business, and nonprofit. I am a true believer that businesses need to give back to the community. I wanna give you guys an opportunity to talk about nonprofits that you work with, whether it's time, treasure, talent … Let's talk about those. Which one do you work with, or maybe it's a multitude of them? Adam Bankhurst: Recently, we've gotten involved in Pelatonia, the big bike ride. For the last two years, I've done a hundred miles. We've worked on the board with Kelly … Kelly, and Maria Durant. We are really, really passionate about doing that stuff, because it's just so important, and there's so many good causes. It's nice to just get out there, and meet people, and see people doing amazing stuff in the community. It's a big passion of mine, and of the company's. Jason Fleagle: For me, Brett, I've always been passionate about wanting to give back. I love to … Especially being in the world of business development, and coming alongside businesses, and business owners, and helping them solve their challenges, nonprofits, giving back to them has always been something I love to do. Jason Fleagle: Then, I also give back to an organization called inTeam. JD Bergman was a wrestler at Ohio State; one of the best wrestlers in the world; incredible friend of mine, too … I'm on the advisory board with that organization. They have a for-profit arm, and a non-profit arm. It's a faith-based organization that is all about sharing positive messaging to help people overcome the depression, the anxiety that they're facing. Jason Fleagle: They wanted to know a little bit more information on social issues, so I did research with them – financial research – and put all of that data in a fun, interactive way to display at different events, and conferences, and that kind of thing. Then, it opened up more into doing … I would create pitch decks for them. I started to do some business development for these organizations, and political think tanks. Jason Fleagle: I was like, "Wow, man, I don't think that medical school might be a good fit for me," because I loved what I was doing. I was like, "Wow, these people …" It's kind of second nature to me. I can see issues that … I'm like, "If I were in you guys' position, this is what I would be doing, or thinking about." Jason Fleagle: I respectfully declined my offer to medical school, and stepped out into the dark, I guess. I pursued that; ended up doing an online MBA program, part-time, through MVNU, Mount Vernon Nazarene University, here in the Columbus area. Halfway through the program, I was like … As an entrepreneur, as someone that's in the trenches working with these organizations on a day-to-day basis, I just didn't feel like I was getting the information from that program that I really wanted to know. Adam Bankhurst: I just saw a need; I saw something that could really help the company, so I just dove in, learned everything … Got me just running on the ground as soon as I could, and developed that company, over, like I said, eight years. Adam Bankhurst: We thought of this idea of Grow Like a Pro, because it's such a great way … When we're helping people, we wanna get their message out. We're a marketing agency. What better way than to have a business owner, or entrepreneur come, and tell their story, tell their successes, tell their failures, learn about them, learn what they like to do, what their hobbies are, outside of work? Jason Fleagle: -Adam balances me out, and I think I kinda balance Adam [cross talk] because Adam's more, I don't know … You're always more energetic than me. Jason Fleagle: -when I listen to some of our audio playback, I'm like, "Man, Adam is so much more exciting than I am …" or at least … I don't think anyone really likes the sound of their own voice, but I think Adam has a good balance to my voice, and vice versa. Jason Fleagle: Talking with Mike, he was like, "Well …" We had kicked around the idea of this Grow Like a Pro a little while back, and I'm like, "Aw, man, I'm a huge fan of podcasts." I had heard that Adam was doing The Gamer's Advocate. I'm like, "Yeah, let's do a podcast." I think Adam and I talked first, and were like, "Okay …"
Adam Bankhurst: Jason's background. He's very out there; he's very outgoing. He talks to people; he's talked to a bunch of business owners, and worked closely with some very successful people. As great as our team was … We have so many different people, from so many different avenues, that bring so much value to our team, but, when looking at the potential people for a co-host, Jason's skills aligned with what we were looking for, and what we were trying to accomplish with Grow Like a Pro. Adam Bankhurst: -our latest episode, which is Ron Greenbaum … We had a conversation with him, and it was actually before we upgraded some of our equipment, and stuff. It was actually back in May. We started this conversation back in … It was funny, because I was editing the show, and publishing, and I looked, and I'm like, "That was May? Oh my God …" It didn't feel that long ago, but, like you said, time flies with these kinda things. Brett Johnson: So, two hosts … How do you handle duties? What do you handle? What do you handle, without stepping on each other's toes, and know what each is supposed to do for each episode? Adam Bankhurst: Obviously, we're co-hosts, and we do things, but I would say that I sometimes take … One of my goals is I do the editing, and the publishing, and making that and Jason does more- some of the back-end stuff; gets it ready to post to the website, and do things. Jason Fleagle: Yeah, exactly. Adam and I, we … Well, Adam's such a … He's a much better speaker, I think, on the spot than I am. Just with my personality, I like to have more of a framework, or a template that I'm working from. For me, it's nice to have that in place, if we're working with a guest who's more similar to me, where they might need to write more things out, or they might need to see the questions, that kind of thing, in front of them. Then, other guests, they might not even need to see any of the somewhat prepared questions at all. Adam Bankhurst: Another idea that we're working on, too, with our show is to do a little mini-podcast with each of the employees, to give them … When you go to an About Us page, you can learn about the people that are actually working on your projects, and stuff. Once again, that's what's so awesome about Jenesis is everyone works together for that same goal, and is very excited about everything. Some people are a little more shy than others, and are a little hesitant to being on the show, but besides that, everyone kinda does their part. Brett Johnson: For sure. With any project up from a business, putting something out there, no matter what it is … What factors were discussed in measuring any ROI that's needed for this podcast to continue on with the project? Because it does take time from your schedule to do what you need to do a Jenesis. Again, this is counted as your work, but, at the same time, there may be other things you can allocate your time to doing. Was there any discussion of ROI, and, if so, what does that look like, and how is it ever-changing? Jason Fleagle: We don't have any very strict plan, I guess, in terms of looking at our ROI. I'm sure, once we start … We're actually growing pretty well, right now, organically, and then, also, with the paid advertising. It's just gonna be looking at that as we go along. I wouldn't say it's something we're constantly thinking about, right now, since we're still relatively new. Adam Bankhurst: We really wanna do some community events, live podcasting; go on the road. We have a few trips planned to the West Coast, and certain things, to get other people around the country involved in all this stuff. There's a lot of things that I think will help build, and just make it a stronger product, but yeah, it's a … Once again, we just released our sixth episode, right? Brett Johnson: -how you're approaching … Doing that. Adam Bankhurst: As you said, with the networking, and stuff, we have these guests on, but also, what Jason and I do, we do our standalone podcasts, or we do some other fun podcasts, where we'll take a concept … We did a Toys"R"Us episode a few weeks ago, because they've had the issue where they went bankrupt, and they were going away, but now they might be coming back. Jason and I had the idea, let's talk about Toys"R"Us; let's talk about the history; then, let's convert that, or take that conversation, and take it to a more marketing, and branding, and rebranding yourself. Jason Fleagle: Was it Steve Martin who said, "Be so good that they can't ignore you"? [cross talk] I think that's like … Adam can do his skill sets, or things that I don't have, and vice versa. Everyone on the team offers something really, I guess, particular to what they're focused on, and passionate about. That's why I love it. Jason Fleagle: As people get to know us, they're like, "Wow, I really … How can I work with you?" It ends up almost being like we're never asking them. In some cases, it's just a natural progression that happens, that they're like, "Wow, you're not just this normal salesy kinda person that I'm so used to seeing, or I get that contact form on my website all the time: 'Hey, we can help you improve your SEO,' and all this kinda junk.'" I'm like, "That's not where we're coming from." Jason Fleagle: By people connecting with us, and building a relationship with us, they're like, "Wow, okay, these guys are really different. They're actually … They're thinking of us as …" We wanna advocate for them. We actually will treat your business like our own. We're not just here to take money. We're here to actually help you grow; achieve success that you wanna achieve. Adam Bankhurst: I would say having Jason … Jason does a lot of the content creation, and blogging, so I'd be curious to see what you feel about that. Jason Fleagle: Adam's the same way. Every article that we wanna put out, it's a focus on … It's delivering some kind of value, or entertainment factor to the end reader, but then, there is a call to action for people who wanna know more … If you follow our website, subscribe to the podcast, even follow Adam or me, personally, on some of the work that we're doing, you're probably gonna see a lot more of the blogging aspect of what we're doing with Grow Like a Pro. It's probably gonna be a important factor for some of the guests, as well, just to share some of their platforms that they're doing, as well. Adam Bankhurst: That's another brilliant thing about the Grow Like a Pro show/broadcast is that it's got that … Having these guests on, it's marketing itself. You're having that whole extra arm of people, where you don't have to do anything. Something Ron always used to say is, "Have people carry your water. Have people help carry the load," and stuff [inaudible] people wanna share their story, and share that, so that's just another venue that helps get more eyes, or, in this case, ears on it. Adam Bankhurst: I listen to a lot of podcasts, and we've talked about this, and we were saying, "Will we have enough content? Will we be able to have enough guests?" We came to the idea, where, you know what? We should do a weekly show. We should do it that even if we can't get guests for a while, we have enough … There's enough topics in the world to talk about, and make a show about it [cross talk] speak for 45 minutes to an hour. It's not like we're gonna be hurting for content. Adam Bankhurst: Another thing that I learned, and that I really truly believe, and appreciate, as far as podcasting goes, and even in business, and life, in general, is consistency. We've decided on the schedule of doing Thursday morning at 6:00 a.m.; every Thursday, 6:00 a.m.. No matter what happens, we're always gonna have a show going live, because once again, when people start listening to your show, and listening to your podcast, there's an expectation … I listen to some shows, especially some in the gaming universe, where, if a show's an hour too late, you'll have people saying, "Where's the show? What's going on? I don't know what to do with my life!". Adam Bankhurst: -because … It's true; it's like part of your routine. Adam Bankhurst: I like the 6:00 a.m., because it's something where you can wake up, and a lot of people listen to podcasting in the car. On their way to work, every Thursday, they'll know, "I have a new episode to listen to." They have that because it's not a, "When is this going live? Oh, there's another episode? I forgot." It becomes part of a routine that, "Every week, Grow Like a Pro, 6:00 a.m., on Thursday, when I'm driving to work, I know I'll have a new … I'll be able to hang out with Adam and Jason for an hour, and do that stuff.". Adam Bankhurst: That's something that I really … We went back and forth with how we wanted to do it, but something that I really preached was consistency, never missing an episode, and making sure it goes live at the same time. Just doing that all the time, and making it like a comfort, like people know it's gonna be there for them. Brett Johnson: You're the folks doing that … Yeah, okay. Adam Bankhurst: Just making sure we give people the tools. We know when it's going live; we know when they can share it; what they can talk about. We like to ask the guests, too, "What do you want us to highlight? Is there anything that you want us to really – in our posts, and even in our conversations – that you really are passionate about, and really like to do?" It's kind of a group effort, making sure that we're hitting all the targets from both parties. Jason Fleagle: Again, like you said, Brett, we wanna have a conversation style, and that's what … It's a conversation with friends, and that's the best, because that's so authentic. People can tell when you're not … When you're faking [cross talk] so having that experience is so important. Jason Fleagle: After that, we usually talk for a good amount of time, too, because I don't know about you, Brett, or … I know Adam gets the same way, at least for the shows that we've done. You get so pumped up. Adam Bankhurst: Preamble, because sometimes, the best things come from those moments, when you're not actually recording, and you're like, "Man, I wish I had that …"
Adam Bankhurst: Exactly [cross talk] that's the whole thing. You wanna be a part of the party; you wanna be a part of the … You wanna be our friends, which that's what we like to say. We wanna be your friends; we wanna be part of your everyday, and your network, and things. Adam Bankhurst: I know, Jason, and he can go into this little more, we talked about we started doing some paid advertising, and we started doing things … One of the biggest issues that we had was coming up with a name, because we wanted all the same name for all of our networks. We went back and forth with certain things. We came up with … Grow Like a Pro Show is one thing that we really like to do, but, on Twitter, the W doesn't fit, or, the O, the last O doesn't fit. We're one character short from Grow Like a Pro, so that kinda screws everything else. That's one of the most challenging things, especially with trying to get those handles, because it's easier to find. Adam Bankhurst: If there's an issue, communicating issues, because when you set an expectation, and you don't hit it, that's when huge problems happen. If you say "Hey, we're having some technical issues, or something happened; we're not gonna be able to release our episode til noon on Thursday, or maybe we can't do it til Friday," or something, it's a lot better than someone opening up their phone, and have this whole idea of, "Oh, man, I got my long commute. At least we have Grow Like a Pro, and this podcast. Where is it? What's going on?" I think communication … Once again, transparency, authenticity is hugely important. Jason Fleagle: Yeah, for sure. In terms of when it goes live, like when an episode goes live, I usually share a little bit of information; tag Adam in it, from my personal platforms, and then I will … It's usually one of our social media team members that handle scheduling a post from the Jenesis social media accounts. Then they'll tag us in that, as well. We try to hit it at a number of different angles, and usually from that, by that point, the guest is tagged. They're usually sharing it with their own network. Again, it depends on the guest, because every guest is going to be different, in terms of their network. Adam Bankhurst: That's the benefit of working at a company like Jenesis is we got … You have those people that, if someone is starting a podcast on their own, needs to maybe outsource, or look for other things, but it's nice to be able to have a lot of these things in our office. Brett Johnson: -it has to look pretty clean in all the different podcast players; namely, iTunes, and Apple Podcasts. Brett Johnson: You don't wanna stick too much into that, knowing it's gotta be applicable, where most people are gonna see this, as well. Adam Bankhurst: That's right. Definitely, definitely. Brett Johnson: A lot of different hosting platforms available … I'm sure you did the research. Why did you choose SoundCloud to go with? Adam Bankhurst: We went back and forth. It was actually interesting, when I started doing podcasting in, man, 2012, I think it was, I used this platform called BlogTalkRadio. I don't know if you're familiar with it? Brett Johnson: Sure. Oh, yeah, still exists. Adam Bankhurst: It's a really interesting company, because they really try to position themselves as having those live radio stations, where you can have people call in, and do stuff. When I started doing that, it was nice to be able to do this, but it seemed like there were a few limitations, and things that didn't really give us quite what we wanted. Adam Bankhurst: It wasn't too crazy of a conversation; just something that I've been using for a while, and has been just a point of comfort, because, like I said, I'd been working on it, since we switched from BlogTalk in maybe 2013, or something. When we started Grow Like a Pro, it was just an easy switch. Jason Fleagle: One of the ones I was used to working with was Libsyn [cross talk] That was one that we went back and forth, but I relied on Adam's experience, just because I was like "Hey, I've never done this myself." I've worked with putting the content out there from a Libsyn account, but … That's why having the team … again, kind of have a really good flow to get the content out there was really important. SoundCloud has been awesome, so far. Brett Johnson: I think a lot of podcasters use that as a stumbling block. "Which one should I go with? Which one should I go with?" First of all, you can switch at any time [cross talk] It's easy to transport … Most of them make it easy to go from … For example, you start on Podbean, and you don't like Podbean; you'd rather good with Spreaker, or go to Blubrry. They work with you, as long as you're doing a bigger brand name of a hosting platform. Just do a little research. Brett Johnson: It really comes down to the nuts and bolts for the team members. What do you like? Do you like the look of the embed player, if nothing else [cross talk] a lot of variables there. They're all about the same price point, quite frankly. Adam Bankhurst: Yeah, that's true. Adam Bankhurst: Yeah, what do you need? Brett Johnson: Most of them play well together, and, again, the price points are about the same, when it comes down to it, if you are paying for hosting platform. Adam Bankhurst: Especially, what's nice with SoundCloud, it's a huge company, very reputable, so you know they're not … Their servers aren't gonna go down; you're not gonna have any issues with that. Also, when it comes down to it, as long as it's getting it on iTunes and Google Play, that's a huge thing, too. That's where most people are listening to it anyway. Like I said, some of these other hosting services, people do go there, so I'm not discounting that, or anything, but the majority of listeners obviously come from people using iPhone, or their Google phones. Brett Johnson: Watch out for the rabbit hole. Jason Fleagle: -yeah, but what is the best thing that's gonna be the best fit for the team, and then deliver value to the user? Adam Bankhurst: Yeah, you get too caught up in that, it's dangerous. Brett Johnson: It is. That's exactly the way to put it – it's dangerous, because it's a total distraction. Adam Bankhurst: You focus on the wrong things, your content will suffer; it'll get in your head. You just gotta keep going, and just believe in yourself, and know that what you're doing matters, and you're taking the right steps. It's very important. Brett Johnson: Your recording space – what's it look like? What are you doing? I know you talked about changing it up, and making it even better, in your eyes, whatever that is. There is no definition to that other than what you want it to be. What space are you using, and what's incorporated in it? What are you doing with it? Adam Bankhurst: Right now, we took over a room that used to be our photo-editing room, where people … We had some set-ups, where they would take product shots for The Basement Doctor, and things like that. Then, we converted it to the studio. We repainted the walls. We fixed some of the outlets, and all this stuff. We added internet, and then we put up some sound-proofing equipment. Adam Bankhurst: We're not quite there yet, because we have a big conference-room table that's a little too unwieldy that we have to keep sideways, so it's not great for video. We're in the process, like I said, of ordering new tables. We already bought some GoPros, and some other equipment, and video equipment to start filming, and getting things up there, and kinda do that. Adam Bankhurst: We got the basic stuff. We got a huge deal from B&H, and we got a whole bunch of nice mics, and soundboards, and all this stuff. We have a lot of the really high-end equipment, and stuff. We're just trying to perfect, and get our studio to the next level, like I said. I think the next step is video, because we're getting audio at a pretty good place, but a lot of money, and value can be had with a video. Brett Johnson: It's another touch point. Brett Johnson: Why not take advantage of it, when you have a studio that you do wanna put on video? Brett Johnson: It's comfortable, and everybody looks good. It works for the viewer, the end-user. Why not do it? Adam Bankhurst: Why not. Exactly, that's the thing – why not? Brett Johnson: The editing, and mixing of the audio … Again, I keep mentioning stumbling blocks, but it's all these little pieces that have to come together. How do you get that done? Once you record, it's done … What's the process of editing, mixing it, and getting it uploaded, in publishing? Adam Bankhurst: I handle a lot of the editing, and mixing, and I do it through GarageBand … It's a nice, easy, simple way to have nice control over it, and things. I've started messing around with Premiere Pro, and some other things, once we get a video rolling, for certain editing, and stuff like that. GarageBand has been pretty much my bread and butter of … It's just very easy to clip things out, trim things; can have multiple tracks; put in the audio; put in the video, certain transitions, and stuff. Adam Bankhurst: As Jason mentioned earlier, when we started that whole process from May, til … Our first episode was released in what? September, maybe, or something? Adam Bankhurst: I think September … We had a backlog of about eight shows, or something. Obviously, when we went them live, some of these people were talking about timely things. Even Ron, in his episode, was like, "I'm doing all this stuff in June," and we released it last week. What Jason and I do is, the week of whatever show we're doing, we'll come in, and we'll just have a little banter back and forth, for an intro, and an outro, just saying "Hey, this episode was recorded before … What else is going on? How you doing?" Certain things; just like a little two-, or three-minute thing to say "Hey, this is what's happening." Adam Bankhurst: Part of that goes into the editing, too, just making sure people understand, when they're listening, and they hear someone talking about, "Oh, next week is Thanksgiving," and they're like, "What? No it's not. What's he talking about?" Once again, it's something that we really value, and try to just make sure people understand what's going on. Jason Fleagle: It's usually Adam making fun of me [cross talk] . Brett Johnson: Future plans for the podcast? Any changes, tweaks you're thinking about [cross talk] where to co-host. Adam Bankhurst: -looking for a new co-host. Brett Johnson: Do you also see this podcast as a template for other marketing groups? Adam Bankhurst: No, not at all. Brett Johnson: -but, at the same time [cross talk] accomplish what you wanna get accomplished. Adam Bankhurst: Here's what I think is so valuable for other marketing firms, and other businesses that … Take this process that Jason and I have started doing, and are trying to perfect, and things … When you're trying to meet people, and you're trying to network people, and you try to bring people into your office, it's different when I'm walking in, and going into a conference room, and starting to talk business. Adam Bankhurst: The way we do it is you come in, and you hang out, and you have a conversation with friends, and you do this, so then, when you have the meeting, you already know each other. You already have background; you have some history. I think it's a very valuable tool to really help people get into your business, and get into your network, and let them know who you are, before they decide if they wanna actually do business with you. Jason Fleagle: One of the biggest things, too, for me, that I pick up on, when we're interviewing a guest, is I identify their pain points, in hearing their story with their platform; whatever it is that they're talking about. Then, in a follow-up meeting afterwards, I can usually speak from those pain points. "Hey, you mentioned this, Is there any ways that we could come alongside you, and help you solve that issue in the best way possible?" It's very important conversation pieces, I think, through the interview. Adam Bankhurst: Then, as far as future plans, I know we've talked about this a lot, but once again, having it a little like your set-up; getting more video, getting more things like that, and getting … I think that's really the next big step. As I mentioned previously, we wanna do community events. We wanna do live shows at places. We wanna travel, and do on-the-road casts, and do more of vlogging, and things to just make it more of a … We're a whole network of us doing all kinds of fun stuff. Brett Johnson: What advice would you give a business owner who's looking to get into podcasting? Obviously, you're eating your own dog food, here. You would advocate, "Yeah, podcast is good for your business. We do it. See how easy it is to do," and such. There are a lot of moving parts to this, you know, and now that we've all been a part of it, you kinda go, "Yeah, it's all done," but somebody looking this … We've talked about a lot of different things here. Key people that should be involved, and again, advice to a business that would be looking at this … What would you say to them? Adam Bankhurst: I would say if you have that idea, I think it's important to take a look at your team, to take a look at who you have there, who would be a good co-host. Do you have the tools necessary to be able to edit, to be able to do this? If you don't, who can you get? What partners do you work with that you think can fill that slack, and make this happen? Adam Bankhurst: One of the biggest things that … It's the biggest advice that my dad always used to say to me all the time, and it's a famous tagline of a company, but, "Just do it." You learn while you do it. The biggest problem … This is something that I actually learned being an IT manager for eight years. The biggest roadblock for people is the unknown, is the idea that, "I don't know this. I can't do it. This is too complicated." Adam Bankhurst: Just Google it. I've learned so much of my skills from just googling how to do this. They've made so many tools, especially nowadays. It was a lot harder, maybe 10 years ago, or something, but so many people are doing podcasts, and so many people have ideas. There's a lot of easy ways to start. You can go on B&H, right now, and buy a podcasting starter kit for a few hundred bucks, maybe less, depending on how sales, and deals are going. You just have to get in, and just start talking. You can even start doing it on your iPhone. Just see how it goes. If anybody's listening to this, just take one of your friends at your office, sit in an office, sit in the conference room, and talk about something for an hour, and see how easy it is. You're just hanging out. Adam Bankhurst: That's a great thing to do is do that. Like I said, that unknown, I think, is the biggest roadblock of people. You just can't be afraid. All these people, these entrepreneurs, especially that we interview, and these people, they found this level of success, because they just did it. They weren't afraid. If you fail, you fail, and you move on, but, if you fail to podcast, what's gonna happen? Nothing. There's not a lotta risk in it, but there's a lot of reward, and a lot of fun to be had. Adam Bankhurst: If you are overwhelmed, you should not be afraid to reach out to you, or to us, or to friends, or people in your network. Like I said, if people are doing this right, they wanna help you. They wanna help because, in helping you, it's helping them. It's helping everybody grow. It's a very valuable thing that is really not too crazy, if you have certain things, and certain ideas, but it's … I think the biggest roadblock is just that idea of, "I don't know. I've never done it before." You know what? People say that a lot before they do something, and then Mozart happens. Brett Johnson: Yeah. That's true. Jason Fleagle: To go on Adam's points, too, I think one of the biggest things that you can see from both of us is that we're very humble, and we're very open in wanting to learn from other people. I know Adam loves to learn new things; I love to learn new things. I think one of the biggest pieces of advice I would give is find a podcast that you really like, and study what they're doing. Brett Johnson: -but put enough hours in, you're a professional, right? Adam Bankhurst: Yeah, exactly. That's what it is. Jason Fleagle: -like Kevin Harrington from Shark Tank, and some of the … I've worked at a few billionaires, and then I've worked with people that are solopreneurs, and one of the most common things I've noticed is if they don't know how to do something, they find a mentor that is in a position that they wanna be in, and they learn, and follow along on that path. That's one of the biggest pieces of advice, I would say, is do that. Brett Johnson: Where can they find your podcast? Adam Bankhurst: They can find it on iTunes. They can find it on Google Play Store; on Stitcher; on all these things. Those are the main play … Obviously, SoundCloud, because that's where it's being hosted. Those are the main ones, but we try to get it to as many people as you want, as well as the JenesisMarketingGroup.com web page. We have a whole section built out for podcasting, where you can learn more about the guests. You can see pictures. You can see show notes. You can see other things about if you wanna get … If you loved the guests, and you want to get involved with them; you think they may be a good fit for you, or you wanna learn from them, we have a lot of information there, as well. Brett Johnson: I would suggest go to the dot.com, first. Brett Johnson: That's the best way to learn more about what you guys, beyond listening this full episode, but, at the same time, you get to see faces to names, and also previous guests. Little easier to navigate [cross talk] big screen to see what's going on. Thank you for being a guest on this podcast. Brett Johnson: I appreciate it [cross talk] the focus is to really demystify a lot of what a business can do with podcasting. Your perspective, and your analysis, everything's been … It's been insightful, and worth a million bucks, and hopefully we can help everybody grow like a pro. Adam Bankhurst: Definitely [cross talk] That's right. The above audio transcript of “Grow Like A Pro” was transcribed by the best audio transcription service called Sonix. If you have to convert audio to text in 2019, then you should try Sonix. Transcribing audio files is painful. Sonix makes it fast, easy, and affordable. I love using Sonix to transcribe my audio files.